Weird art plushes When I was a young girl, I competed with my friends to have the largest collection of stuffed animals. 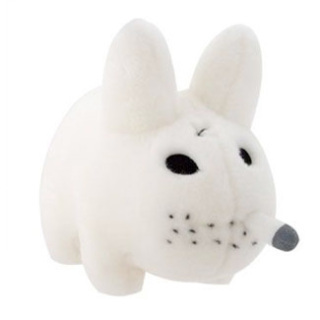 Now that I’m an adult, I have noticed that I must not have been alone as there seems to be plenty of artists focusing their work in the realm of plush toys. While some of them are a bit strange, they are always fascinating. 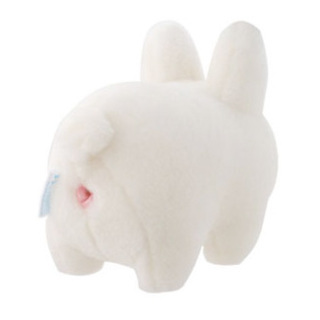 Funny enough, now my house is still filled with stuffed toys, only now I only collect weird artistic versions. The internet has been awash with bacon for the last few years and the stuffed bacon toys available by designer Lauren Venell's Sweet Meats are yet another way you can enjoy America’s favorite pork product. 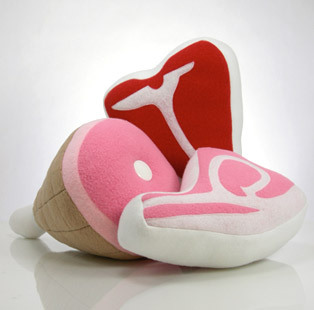 If you’re in the mood for a fat steak, pork chop or ham though, Venell has created meat plushies for you as well. For an extra 50 cents you can even have the products arrive wrapped in butcher paper, just like a real cut of your favorite meat. Mustachio is a happy little mustache, just perfect for cuddling or holding up to your lip. He originally came in black with red stitched features, but in time he has evolved and taken on new looks. My personal favorite mustachio is the mustachioed barbershop mustache known as Son of Mustachio. 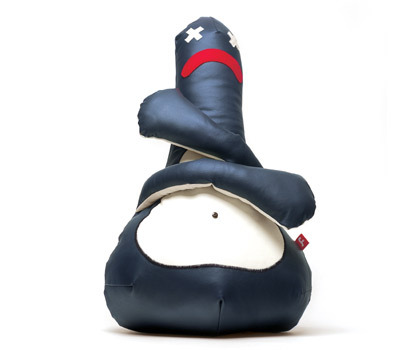 Miami-based Friends With You sells all number of strange art plushes, including perhaps the best known, Malfie series, like the Dead Malfi shown here. The main theme of artists Sam Borkson and Arturo Sandoval is to share messages of magic, luck and friendship. While these are noble goals, it can be hard to see how they are actually expressed in deconstructable plush cheeseburgers. 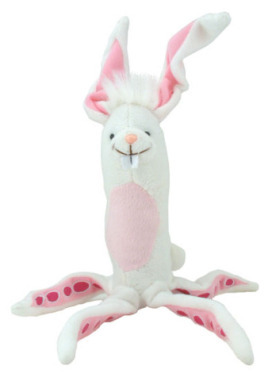 But that’s yet another reason their inexplicably strange toys are so fun. Smartfish ErgoMotion™ Mouse & Keyboard: It's The Motion, Stupid! And Ed, I only left out the microbes because I covered it in another article. Thanks for the tip though! That one's really cute and weird anon. Where I am Forbidden Planet is the place to go for stuff like this.